In a previous post I mentioned about how I was in the middle of preparing for this event. 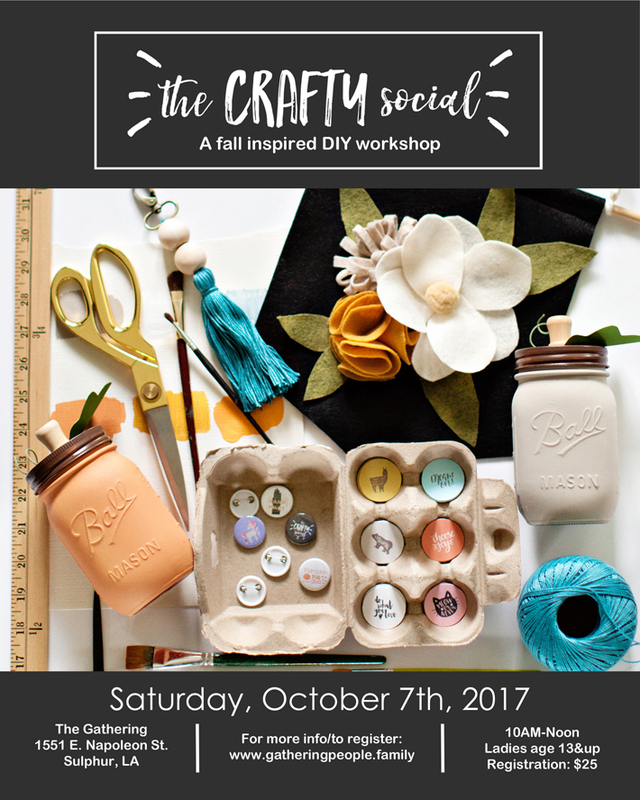 It is time I can finally announce The Crafty Social! 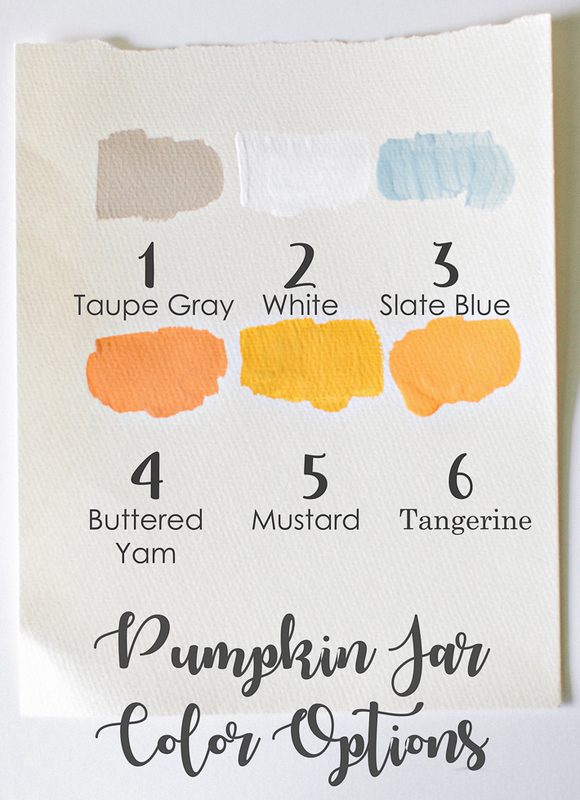 It is a fall inspired DIY workshop that I am hosting here in southwest Louisiana through the Women’s Ministry at my church. 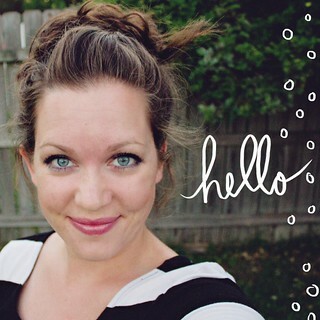 It will consist of four DIY projects (all supplies included except for scissors and no crafting experience necessary! ), snacks, and giveaways. If you are local, you can register here. 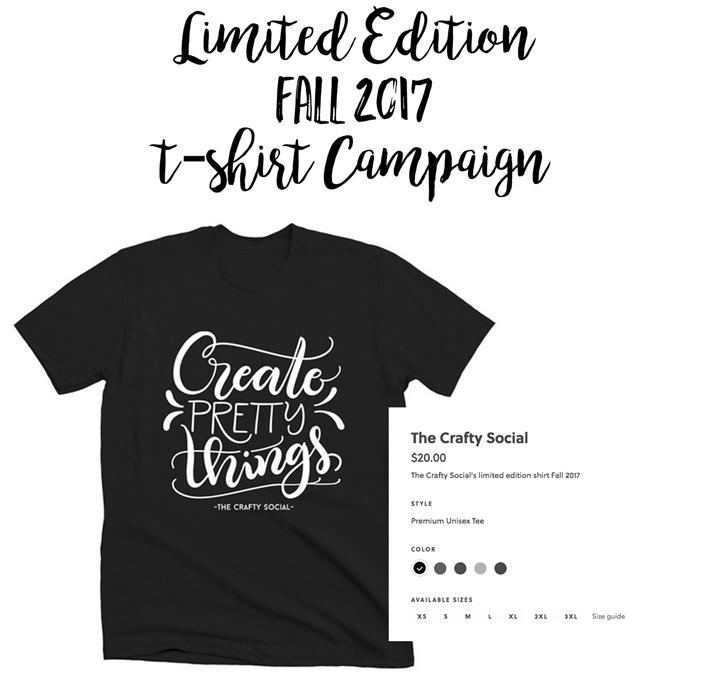 If you are not local, you can still participate and purchase the limited edition t-shirt and wait for the DIY posts that I will share mid October covering a few of the projects so you can make them at home. The above video is a closer look at all the projects. Clark Miller of Zoe Photography helped bring my vision to reality for that. It turned out so good! The first campaign for this t-shirt will be open until Monday, September 11, for orders. This allows for those who want to receive it before the event to get it in time. As soon as it is over, I will start another campaign for it though. That one will be open for orders until October 9th. There are a few color options available. Below are the four projects that we will make together. A few of them have color options that you will be able to choose from when you register. 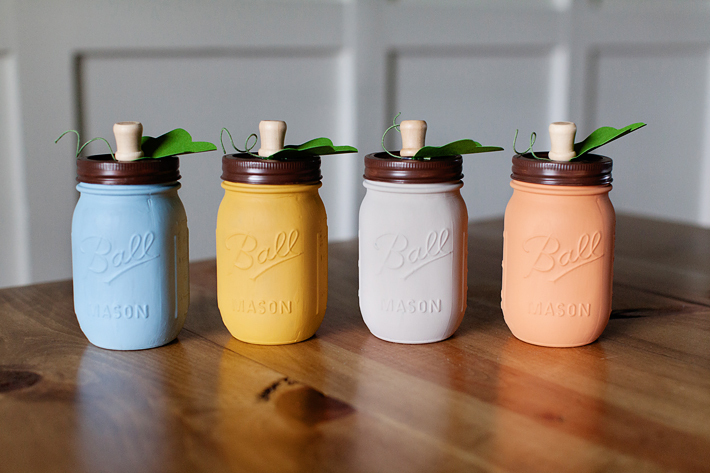 The first is these cute pumpkin mason jars. I made four, but there are six colors to pick from. 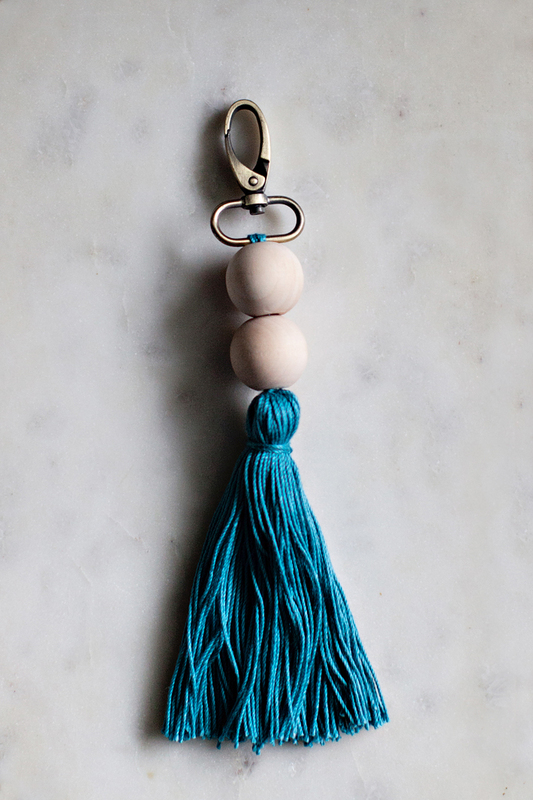 The second project will be this tassel key chain. The third will be pinback buttons. 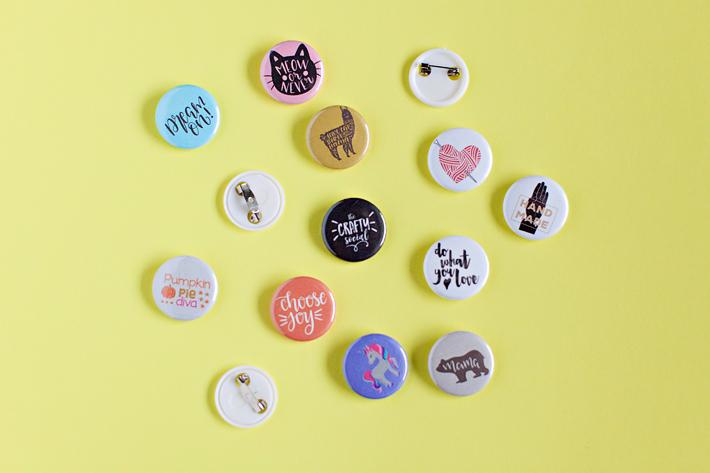 Each participant will create three (one being The Crafty Social collectors pin and the other two being selected during the event). The fourth and final project will be this fall felt banner. 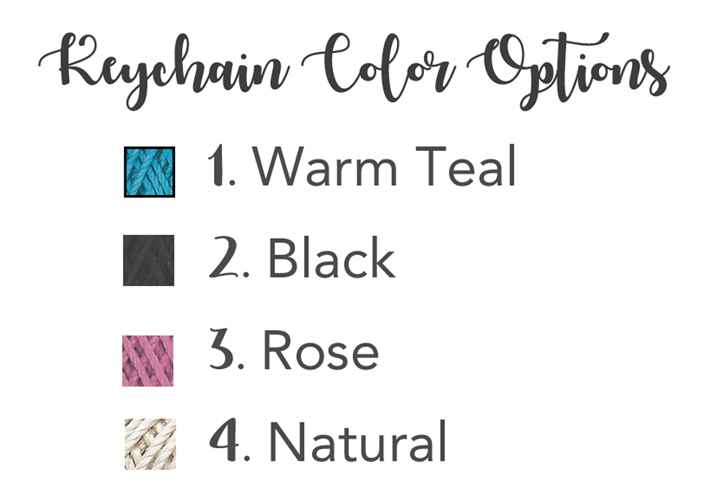 There are three color options available for this project.